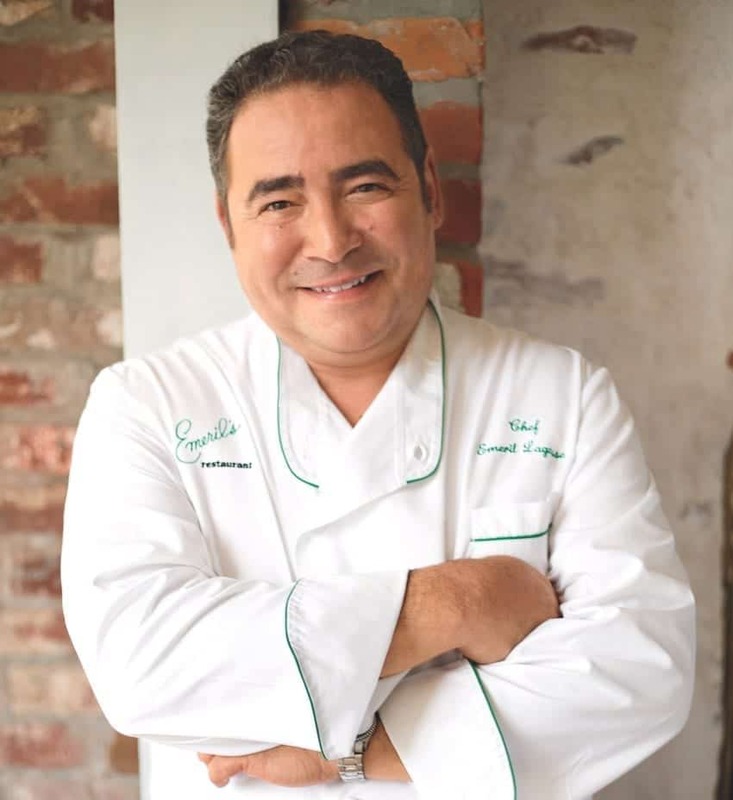 Carnival Cruise Line just announced that award-winning celebrity chef Emeril Lagasse will open his first-ever restaurant onboard Carnival’s newest ship, Mardi Gras. It’s all so New Orleans. Named Emeril’s Bistro 1396, the restaurant will be located in Mardi Gras‘ French Quarter, one of six themed zones on the ship. But the French Quarter will be the place to go for a New Orleans tradition; live jazz and signature cocktails. Of course the menu will feature Emeril’s signature dishes, all with a Creole-Cajun flair. It’s his take on New Orleans-style cuisine that helped launch Emeril to celebrity stardom. An homage to the ship’s “birthplace”, Emeril’s Bistro 1396 is named after Mardi Gras’ hull number at the shipyard in Turku, Finland. Mardi Gras is expected to launch in late summer, 2020. Like stepping into New Orlean’s French Quarter, the menu is what you’d expect from a typical Bourbon street eatery. The menu line-up includes oyster and cochon de lait po-boys (oyster and pork sandwiches), muffaletta sandwiches. Best of all, the menu will have Emeril’s signature barbecue shrimp, fresh seafood ceviche, roasted duck & Andouille sausage gumbo. Of course there’ll be jambalaya, too. For sides, try Creole potato salad with diced scallions, or red beans and “jazz-man” rice. Kick it up a notch and start your morning with shrimp and grits or a shrimp Creole omelet. For dessert, indulge in a New Orleans classic Bananas Foster or a tangy lemon ice box pie. The date for Mardi Gras to enter service is Aug. 31, 2020, in Europe. On Sept. 9, 2020, Mardi Gras leaves Europe on a 14-night transatlantic crossing from Southampton to New York City. There’s a six-night cruise from New York before the ship leaves on a cruise to Port Canaveral. At home on Florida’s Space Coast, the 6,630-passenger Mardi Gras will cruise year-round seven-day Caribbean cruises beginning in Oct. 2020.